Pepperzania at the Cal Poly Pomona Nursery from April 12 to 14 will feature more than 100 varieties of peppers. If you’re still looking for something to plant in your garden this spring, come to Pepperzania, a pepper plant sale at the Cal Poly Pomona Nursery from April 12 to 14. 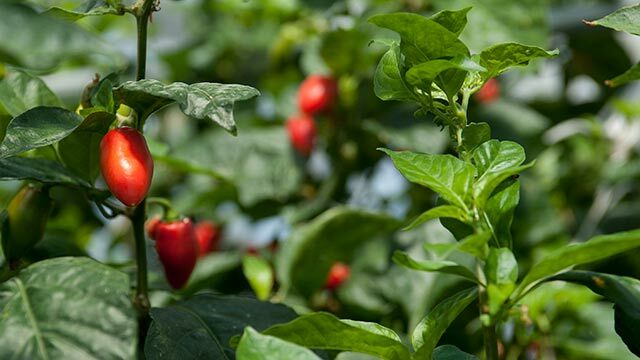 The nursery will have more than a hundred different varieties of pepper plants on sale in its greenhouse, including sweet, unusual, difficult to find and some of the hottest peppers around. Customers also can also buy a huge selection of plants and supplies including herb, vegetable, berry, fiber pots and planters, soils, stakes, and fertilizers for sale – everything needed for planting your garden this weekend! The event is 10 a.m. to 3 p.m. at the greenhouse, next to the Cal Poly Pomona Farm Store at 4102 S. University Drive, Pomona. For a full list of varieties, check: https://www.cpp.edu/~farmstore/events.shtml.